Many performers seek perfection. Meticulous details are precisely lined up in anticipation of achieving desired results over and over again. When going well, this approach seems to flow in harmony as efforts are immediately and repeatedly rewarded. As results begin diverging from the crystal clear image of perfect execution, however, frustration and anxiety take a front seat. Execution of the task starts looking and feeling more like a runaway, emotional rollercoaster as the now-strongly contaminated experience unfolds helplessly before one’s eyes. What most experience or witness through the lens of a prototypical “perfectionist” is one who goes to (and demands) extremes. Perspective is often lost through the keen eye of the result-enthralled perfectionist. Keep in mind that some of the most highly successful individuals carry some perfectionistic tendencies, yet seem to use them to their advantage. Holding oneself to a high standard is an integral component of attaining greatness, reaching new heights and breaking performance barriers; so there is certainly some value in incorporating aspects of a perfectionist approach. The difference lies in the way in which perfection is perceived and applied. At first glance, it would seem that continuously repeating tasks effortlessly while receiving flawless results would be a euphoric experience. Fortune, glory and fame would consistently linger at one’s fingertips. Life doesn’t seem to get much better than that, right? Yet, a deeper look might uncover something different. If tasks are repeatedly performed to perfection with very little output or effort required…would those endeavors truly remain enjoyable, worthwhile or interesting? Doesn’t perfection actually become quite boring after a while, with the guarantee that everything will simply fall into place by “just showing up”? 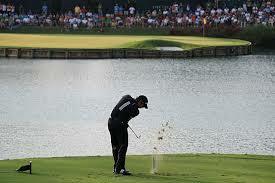 A golfer standing 1-foot from the hole, who repeatedly drains putt after putt has attained perfection for the task. Desired results are achieved over and over again, with little effort or energy expended. After some time passes, however, the boredom of this task becomes just as uncomfortable as the anxiety felt from NOT achieving the desired result repeatedly. Needless to say, it seems there must be another component involved in the pursuit of perfection. The most cutting-edge and highly motivated performers are those who understand the “perfect” performance is one which stimulates passion, engagement and the thrill of embracing the unknown. Rather than merely (and quite boringly) expecting the perfect result, seek meaningful opportunities to feel the rush of excitement which supplements opportunities to test personal limits and experience what’s possible. By continuously bumping up against the barrier of current skill levels, one starts experiencing the ultimate euphoria which accompanies unlocking human potential. When perfection is measured more by the excitement, stimulation and quality of the experience, rather than just the results which accompany it – passion, engagement and exhilaration take a front seat. This view of perfection will end up taking one much further in life, supplemented by abundant satisfaction from the experience itself, which is often lost on the result-seeking perfectionist. Teetering on the edge of success and failure is truly the perfect scenario to fulfill the human desire for excitement, thrill and bursts of adrenaline. Rather than desiring the boredom of repeatedly completing a task; seek perfection by testing limits, expanding horizons and exploring the boundaries of previously untapped potential. There will be no defenders moving throughout the course. There is no physical contact allowed between competitors, much less the need for a cut man to monitor lacerations and bleeding throughout the round. Yet this week’s United States Open Championship at Pinehurst No. 2 will certainly feel like a battlefield which tests its competitors from start to finish. Michael Buffer (you know, the “Let’s get ready to rumble” ringside boxing announcer) should be making his trademark announcement on the first tee to set the stage for this emotional competition. Although many believe the mental game is all about staying calm and positive, players who expect to exhibit these characteristics for 72-holes (plus an additional 18+ in an playoff situation) under exhilarating U.S. Open Championship conditions are kidding themselves. 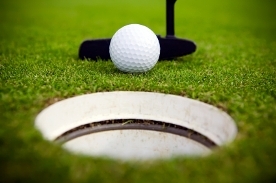 Cognitive science shows that competitors would be better served to start anticipating scenarios of how to manage and embrace some of golf’s worst-case scenarios, rather than hoping to calmly cruise through this brutal test of golf with their ball settling close to the hole all week. The truth is that motivation will slowly deteriorate as the reality of strenuous competition collides with a calm and positive dream-world. Carol Dweck’s revolutionary work supports this point (http://books.google.com/books?hl=en&lr=&id=fdjqz0TPL2wC&oi=fnd&pg=PA3&dq=challenge+mindset&ots=Bi1–GxDLD&sig=fSZrzW3JiUDBH_vMTEVhyjHm9RY#v=onepage&q=challenge%20mindset&f=false) and is a must-read for athletes, students, coaches, parents and leaders of any kind. Listen closely to player interviews throughout the week. Do the weekend leaders talk about the calm, simple dream-shots they hit; or is there a more passionate dialogue, filled with the thrills of navigating tight situations on one of golf’s largest stages? Confidence and sustainable motivation come from embracing moments of uncertainty and gutting out the tough stuff. As the rest of us settle comfortably into the couch to watch the action on television, consider the emotion and uncertainty involved in competing effectively in one of golf’s largest and most difficult environments. Take note and start preparing effectively for your next “U.S. Open-like” experience.